Police in southern Israel arrested a man Tuesday they say is the owner of 10 dogs which mauled a eight-year-old girl near her house on Monday. 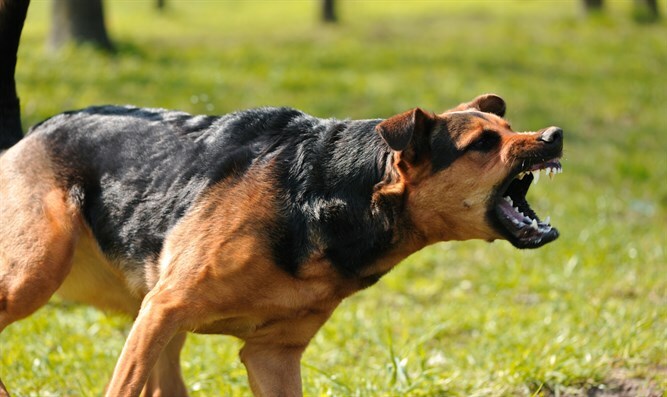 The incident occurred on Klil Hahoresh Street in the town of Ofakim in the western Negev Monday afternoon, when a pack of 10 dogs attacked an eight-year-old girl outside of her house. On Tuesday, authorities identified the owner of the animals as Eliyahu Kasbah, a 57-year-old resident of the nearby city of Beer Sheva. The suspect reportedly owns a farm near Ofakim where the dogs were kept. While Kasbah has denied the accusations against him, police say Kasbah was negligent in failing to secure the animals, leading to the mauling incident Monday. The Beer Sheva Magistrates Court extended Kasbah’s arrested by three days. During the attack, a passerby alerted police, who drove off the animals and cleared the way for MDA emergency first responders to treat the girl and evacuate her to Soroka Medical Center in Beer Sheva. The girl, Hannah Gershman, is currently listed in moderate-to-light condition, after showing signs of improvement since Monday, Soroka officials said Tuesday.